A nationwide campaign was announced last month by the American Dental Association to reduce the number of adults and children in this country with untreated dental disease. The campaign, Action for Dental Health: Dentists Making a Difference, was presented before members of Congress, national media representatives and oral health professionals by Dr. Robert Faiella, ADA president. According to the ADA, 181 million Americans did not visit a dentist in 2010, and nearly half of all adults age thirty and older suffer from some form of gum disease. The CDC reports that nearly one in four children under the age of five already have cavities in their teeth. Provide care now to people suffering with untreated disease. Strengthen and expand the public/private safety net to provide more care to more Americans. 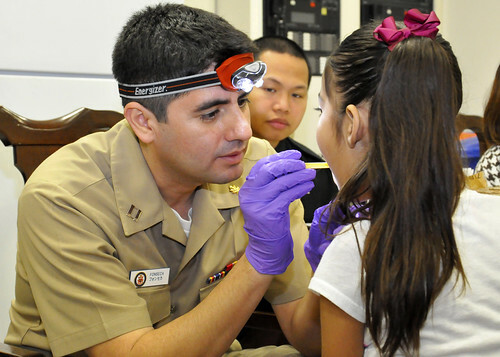 Bring dental health education and disease prevention to communities. To learn more about the ADA’s Action for Dental Health: Dentists Making a Difference, visit ADA.org.